At DiamondsByMe we realize the importance of offering a product that was obtained in a responsible manner. This means that, in addition to responsibly obtained metals, our jewelry consists of sustainable environmentally friendly gemstones. 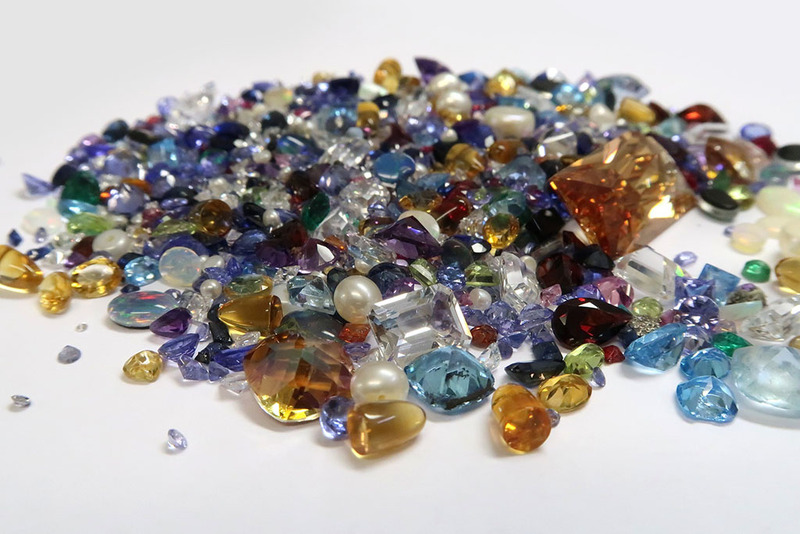 Because there is so much to be told about our range of precious stones we composed a list of important topics on which we will provide information for each type of stone we have on offer. If you have any questions about our gemstones or about a different type of stone not currently listed, please contact our customer service. Our customer service will gladly help you in finding your ideal piece of jewelry and the perfect gem to go with it. The chemical formula of the gemstone. For more information on birthstones and their meanings click here. The Mohs scale is used to denote the hardness of a gemstone. For more information on the meaning and assessment of mineral hardness click here. Here we will notify you of the available colors of a gemstone. Additionally we will explain how the rarity of certain colors as well as their special effects may lead to differently valued stones. Here we will show you in what countries the gemstone is found and what myths about these types of stones exist. For each individual type of gemstone we will tell you what to look out for when it comes to cleaning and maintaining your jewelry. Some gems are more vulnerable than others, and in order to keep them shining bright there are some things you may want to consider. Many types of gems are produced artificially or imitation stones are created. For a novice but even for an expert jeweler it can be hard to determine the difference between an imitation and the real thing sometimes. Here we describe what types of imitations are out there and how you may recognize them. This may be especially useful when you plan to buy your gemstones abroad. All precious stones sold by DiamondsByMe are supplied by reliable traders. Furthermore, our gems are checked for signs of imitation by both our suppliers and our own experts. Not all gemstones can be cut into any shape whatsoever. This has to do with a stone’s brittleness amongst other things. Some stones will crack more easily when cut into certain shapes and as a result are not sold in that cut. At the same time it is the cut which determines a stone’s final look and the way light shimmers inside of it. A diamond, for example, will look most beautiful when given a faceted cut. Meanwhile a ruby will produce its most beautiful star effect when given a cabochon cut.